Local craft spirits made their debut in Kalamazoo earlier this month, when Rupert’s Brew House started producing its own hand-distilled rum out of its location downtown. But Rupert’s won’t be alone for long. By this time next year, three more micro-distilleries could join it, adding craft spirits to the booming wineries and breweries scene in Kalamazoo. Nick Merrill sees that future as he walks past the torn-down walls of this worn building along East Michigan Avenue in Kalamazoo. It more resembles an abandoned warehouse than a soon-to-launch distillery. Peeled paint curls up from the walls. Wood panels lay in piles, ripped up from ceilings and floors. Merrill points out the only piece that doesn’t look tarnished: a shiny, steel boiling still for alcohol. "This will ultimately end up as a dedicated gin still," Merrill explains as he opens the still. "This is only one small piece of the puzzle." This still is the only clue as to what this worn-down building will eventually become: one of Kalamazoo’s first craft distilleries, producing everything from vodka to gin to sweet brandy. Homemade craft spirits haven’t been seen in Kalamazoo since Prohibition, but Merrill is one of a number of upcoming businesses that could soon turn Kalamazoo into a craft spirits hub. For Merrill, the journey started in the early 2000’s, when he was first exposed to craft alcohol at his father’s winery in Washington state. He was only there for a few years before returning to Kalamazoo, but in 2011, he went back on a few trips, when he learned to ferment that wine and transform it into brandy. He was captivated. "You know, when you walk into a distillery and the tanks are fermenting and the stills running, it’s the smells that really grabbed me," Merrill says. "It’s like walking into the best bread bakery you’ve ever smelled. The big copper still in the corner, all of the aspects of it. It’s an awesome place to spend your day." So awesome that Merrill and his wife, Joanna, decided in 2011 to create their own. So far, they’ve got a license from the city, and if all goes according to plan over the next few months, they’ll be in business churning out spirits. But that’s only the tip of the iceberg. Merrill’s business, tentatively called “Distilled Kalamazoo,” will join Rupert’s Brew House, which is already crafting its own rums on site. On top of that, two other small distilleries are expected to launch within the year. So what’s driving this coming boom? One big factor is a 2008 state law that slashed the cost of a yearly micro-distillery license from the state. A distillery used to have to pay $10,000 every year. That’s a lot for a small start-up. But now, the license costs only $100 a year. 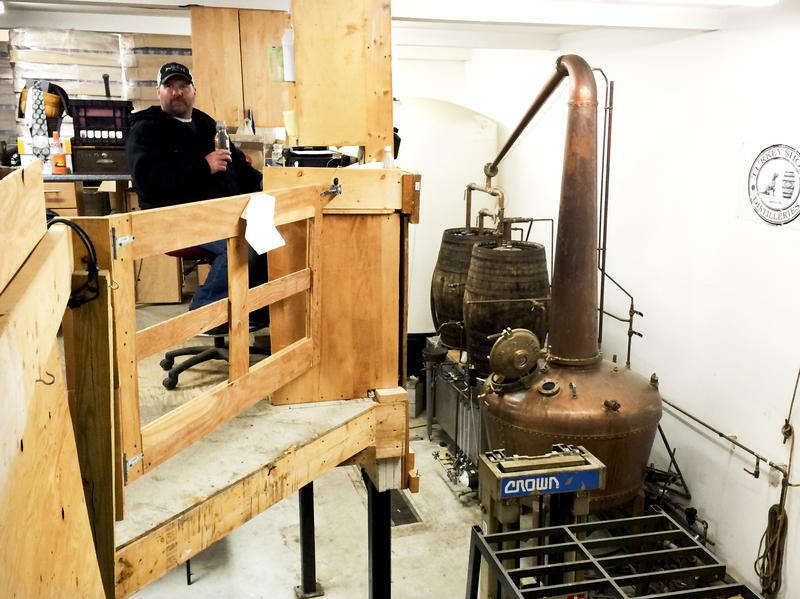 "It was basically an added benefit for us," says Jon Good, one of the founders of Revival Distilling, a soon-to-launch small distillery in Kalamazoo specializing in old-fashioned drinks like honey whiskey. Good says the policy change wasn’t his reason for starting a distillery. But, he says, it didn’t hurt. And after he saw so many other distilleries start popping up after the change, he was convinced. Interview with Josh Cook and Jon Good, co-founders of Revival Distilling Co.
"How it really benefited us is if you look at the distillery boom over the past fifteen years or so, it really started in like 2000, 2001," Good says. "But it was really inhibited by that massive licensing fee annually. So then in 2008, it really hit it off. So that exposure, that licensing law change really helped us a lot too." Another likely reason for this liquor boom is the alcohol that’s already being made here, in breweries. 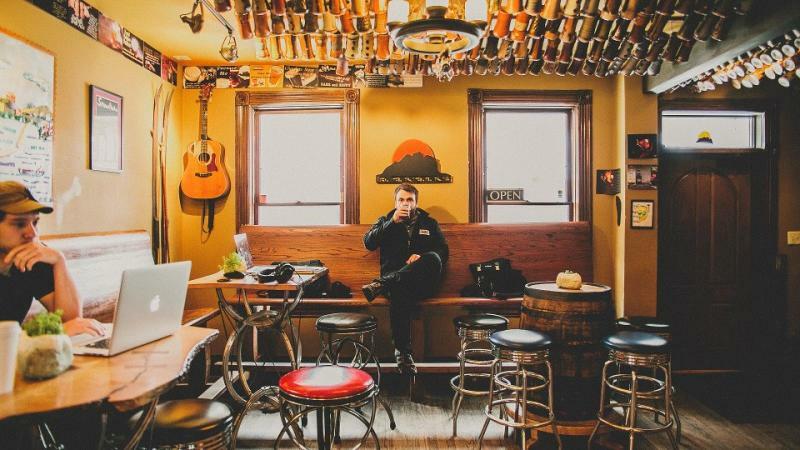 Kalamazoo has shown its potential as a haven for tourists with an adventurous pallet. Josh Cook, the other founder of Revival, says with so many visitors flooding in, there’s bound to be an audience for nearly any kind of liquor. "And somewhere in there, you will find a market that is striving for that, that loves it and wants to taste it." But in order to reach that market, the drinks have to be good. Which is impossible to tell right now. With something like beer, you can just brew up a batch in your garage. But it’s illegal to make spirits at all in Michigan, even just a few ounces in your kitchen, until you’ve already purchased a property for your distillery and received all of the proper licenses. A distiller can take classes and look at recipes all he or she wants. But when you’re spending thousands of dollars to open a business, all without a real product to show people, it can be scary. "Yeah, it’s definitely scary," says Grant Fletcher, the owner of the new Kalamazoo Distilling Company downtown. "And it definitely presents challenges when you’re trying to raise money to get it kicked off. It’s a heck of a sales pitch when you look at someone and say, 'Well, I’m pretty sure I can do this.' And I am sure." What may make the process easier is that each of the new distilleries appears to be aiming for a different sector of the market. Rupert’s is trying everything, from maple syrup rums to tequilas. Revival targets old fashioned drinks like honey whiskey, and Kalamazoo Distilling is aiming for a whiskey and a gin. 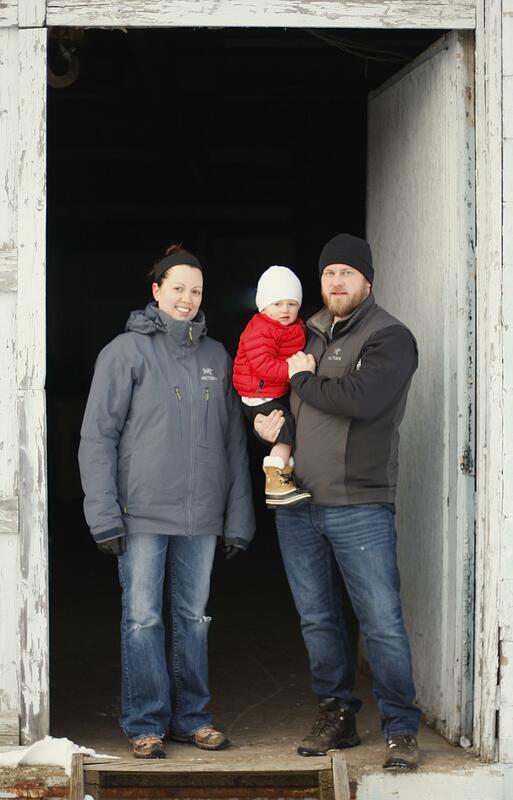 As for Nick and Joanna Merrill, they’re starting with gins and vodkas, but what they’re most excited about is that old-fashioned brandy from Nick’s father’s winery, all homemade. "If it tastes fantastic, it tastes fantastic," Merrill says. "And if it tastes terrible, we have no one to blame but ourselves." You can judge for yourself, once the distilleries get up and running over the next few months. While several national brands like Kellogg, Whirlpool, and Domino’s Pizza call the state of Michigan home, there are even more “Made in Michigan” products that can be found in our refrigerators, on our shelves, and even in our soap dishes. Beer is no exception. And, as Kevin Romeo confirmed, Michiganders knows their beer. Wherever you live, you're probably not too far from a local microbrewery making beer. Now, the latest trend is the spread of what you might call "micro-boozeries." Craft liquor distilleries are springing up around the country like little wellheads spouting gin, whiskey and rum. Turkey Shore Distilleries in Ipswich, Mass., is one of them.